The Encore is unique as in it allows entry to the front and rear of the truck bed. The front panel uses BOLT one-key technology on most truck models. This allows the truck's ignition key to be used to lock and unlock the front panel. Locking the tailgate secures the rear panel. The Encore has an aluminum frame and hinges that are powder coated matte black. The panels are made from EnduraShield, an automotive grade polymer that is dent, fade and scratch resistant. The panels stay cool to the touch in hot climates. To operate the cover, simply pull the cable from either side of the bed to disengage the latches. Shutting the panel automatically locks it back in place with the slam latches. Full bed access is achievable by disengaging the front and rear latches of the cover, and folding both panel to the middle of the bed. Then, simply disconnect the two tether straps and lift the cover off the rails. No tools needed. The unique design of the Encore allows the cover to be self-positioning when re-attaching it. The mounting rail features a special channel that the cover pivots on. Once the cover is dropped back in place, it automatically aligns it in place. 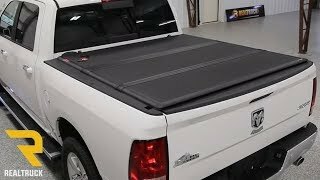 Extang designs, engineers and manufactures all their covers right here in the USA, using only the best materials and craftsmanship to meet their strict standards. 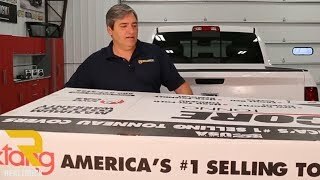 The Extang Encore Tonneau is a new low profile hard panel tri-fold tonneau cover from Extang. 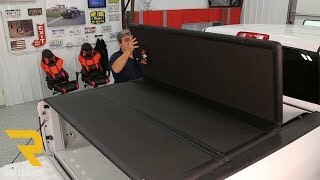 This cover unlike many others is the first that allows easy access from both the front AND rear of the bed for more convenient storing and unloading of cargo. The Encore is self-position which allows for a pain free installation and self-latching for extra security. 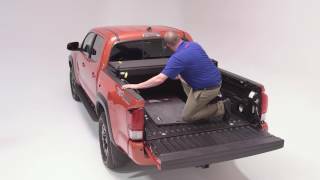 This also allows for extemely user-friendly removal simply fold from front to back then lift up and off to gain full access of your truck bed. 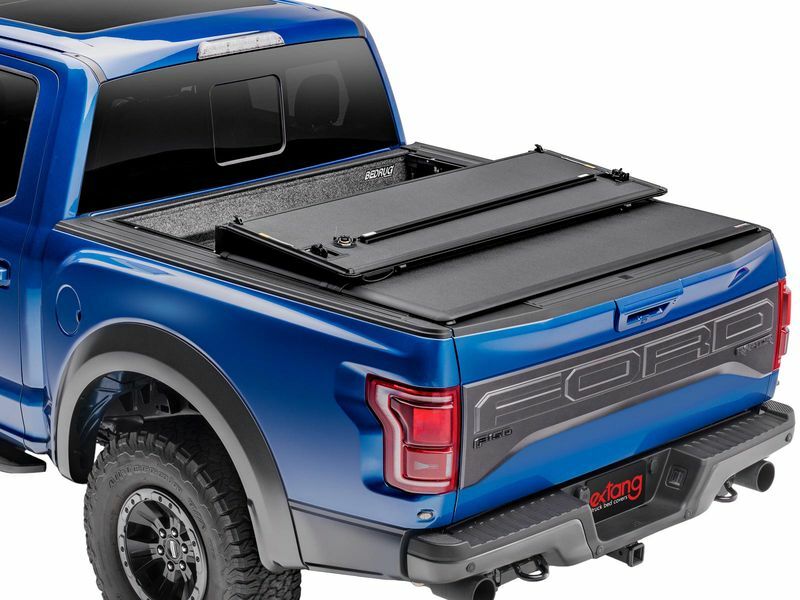 The Extang Encore is the first tri-fold cover to allow access to both the front and rear of the truck bed. The panels of the cover lock in place with Slam-Shut Latches and are released with a pull cable. The Encore's hinges are designed to not only be super flexible and strong but weather tight as well. The panels of the cover are 1" thick but only stick 1/2" above the bed for a clean low profile look. The tri-fold operation of the cover allows it to be folded up to the cab for more access to your truck bed. Self-latching system allows the cover to be easily lifted off for removal and securely reinstalled in seconds. 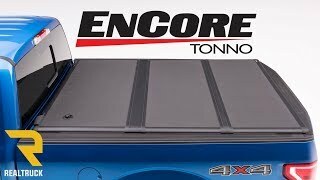 The Encore tonneau cover offers an easy at home no drill installation. For additional information please call us at 877-216-5446 or 701-253-5906.